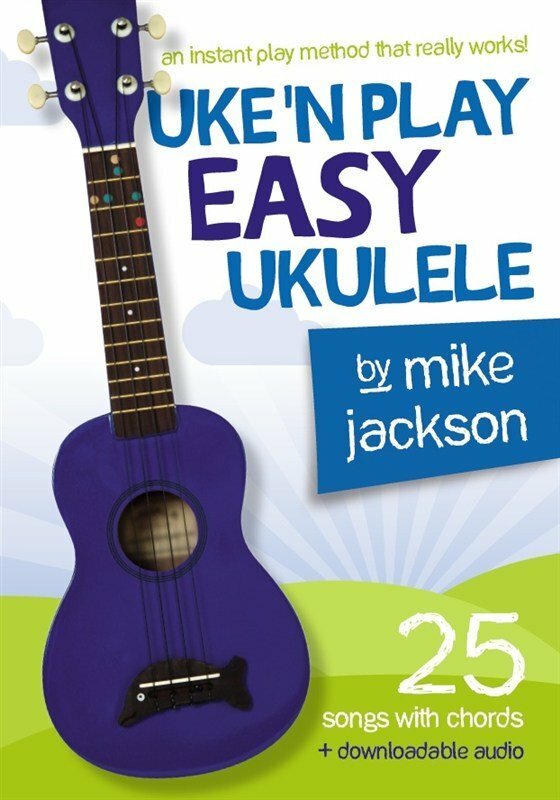 Based on best-sellers Uke ‘n Play Ukulele and Uke ‘n Play Ukulele for Kids, Mike Jackson has now put together a new collection of well known singable songs – country style – for beginner ukulele. With only 3-5 simple chords to master, you’ll be playing all of these easy 25 classics in no time! Basic instruction/chords/tuning is included in the book so no prior musical knowledge is needed. The downloadable audio tracks (with tuning track) teach the song, keep the beat and give confidence as playing technique is refined.